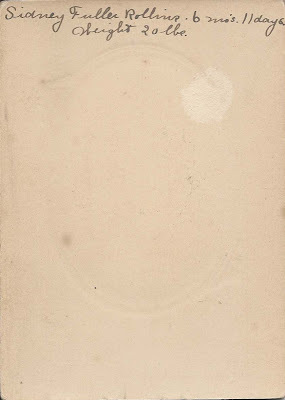 Graduation photograph of Sidney Fuller Rollins; taken at the studio of Harry L. Plummer of Lewiston, Maine. I'm not sure of the high school, but Sidney was living at West Gardiner, Maine, at the time of the 1920 Census, and his parents were living at Winthrop, Maine, at the time of the 1930 Census. Each of these is near Lewiston, Maine. 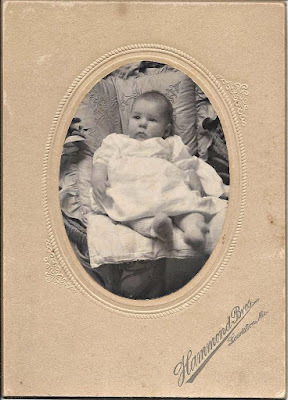 Tucked inside the graduation photograph is a baby photograph of Sidney, taken by the Hammond Brothers studio at Lewiston, Maine. At the time his photograph was taken, Sidney was 6 months and 11 days old and weighed 20 pounds. 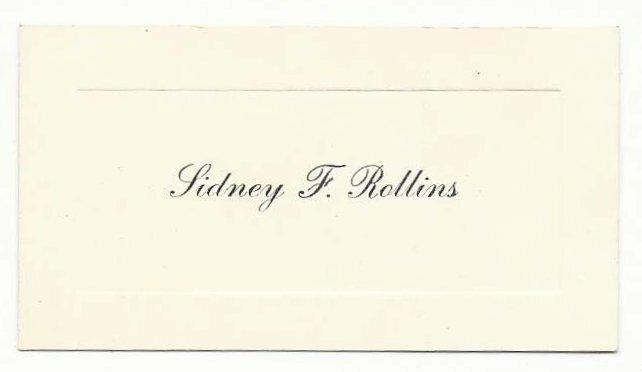 Sidney Fuller Rollins was born 10 October 1905 at Winthrop, Maine, the son of Frank Albert Rollins and his second wife Carrie Emily (Fuller) Rollins, who were born at Jay, Maine, or Strong, Maine, and Winslow, Maine, respectively. At the time of the 1930 Census of Portland, Sidney was a lodger in the family of Lottie and Clarence Willis and their daughter Thelma. 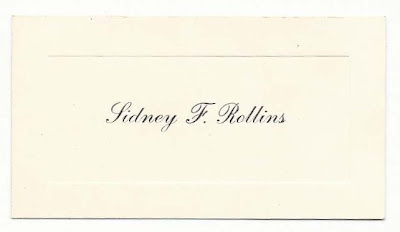 In 1933 Sidney married that daughter, Thelma Swift Willis, daughter of Clarence Herbert Willis and Charlotte "Lottie" (Swift) Willis, both natives of Paris, Maine. Thelma was born 27 August 1910 at Portland, Maine. 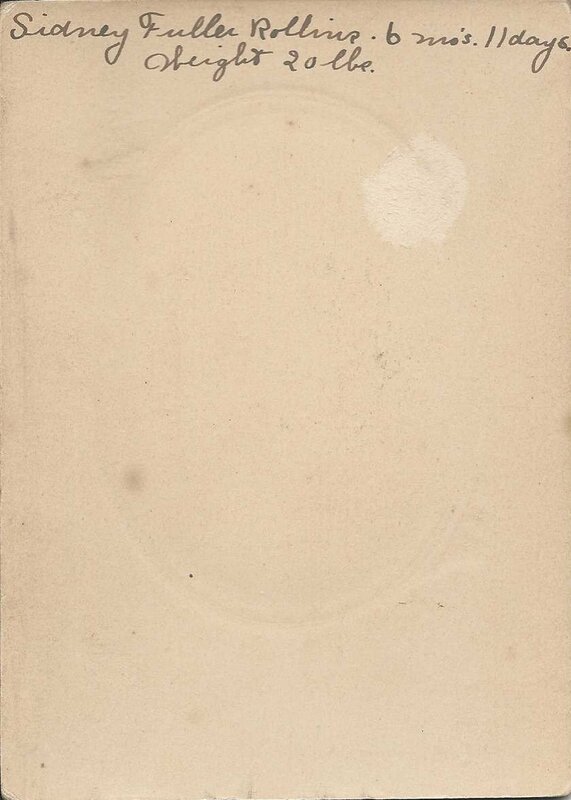 The couple settled at Portland, Maine, and raised at least one child, a daughter. 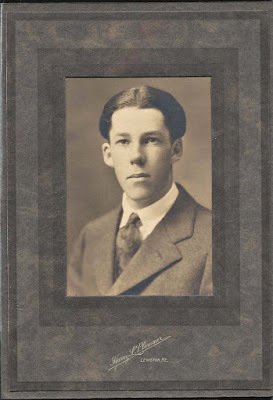 Sidney worked at a canning factory, as a foreman.